Mockup of official 2014 Sparker. NOTE: THE LOCATION HAS MOVED INDOORS TO MINNEAPOLIS CONVENTION CENTER – EXHIBIT HALL B. Begin your night with the energetic drumming of Mu Daiko and then witness the unveiling of the winner of the Creative City Challenge, Balancing Ground. Help Minneapolis Mayor Betsy Hodges spark the night at 9:01 pm and then rock out until the sun fades with GRRRL PRTY. Stick around to make a drawing 3-stories high and participate in numerous other projects from silk dyeing to yoga to catapulted wishes and come back throughout the night. 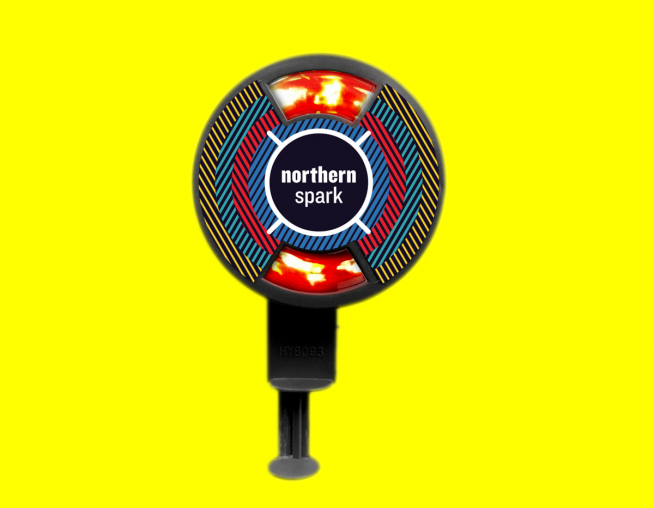 No matter where you are at the start of the festival you can help us power up Northern Spark with your limited edition NS2014 Sparker. When the clock rings 9:01 pm, lift your sparker in the air and generate some energy to help light up the night. 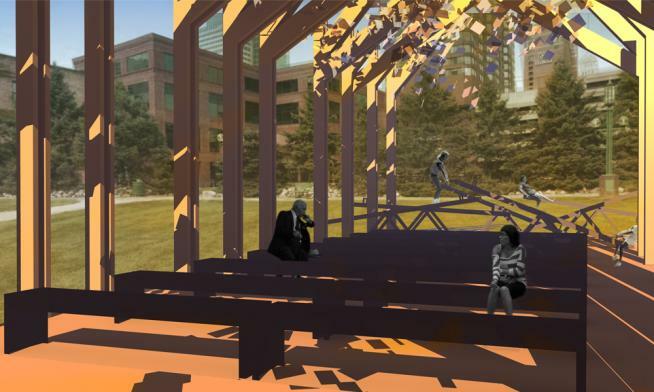 Presented by Northern Lights.mn with support from the Minneapolis Convention Center, and the Arts, Culture, and the Creative Economy Program of the City of Minneapolis.